Dan Wilson is a chef and restaurateur. Originally from Australia, he decided to train as an organic sourdough baker before moving to Italy and studying a masters in traditional food culture. 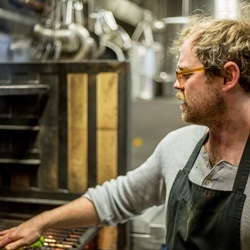 He opened Dandy in April 2017, serving innovative brunch and dinner dishes as well as bread and pastries made in-house daily, before closing the restaurant at the beginning of 2018. Dan announced plans for "Dandy 3.0" in November 2018, alongside a crowdfunding campaign to support the opening of the new branch on Maltby Street in London.